Castleton University students Angela Golding and Cassidy Yrsha spent their holiday break in the jungles of Panama, an exciting change of scenery from the research lab they've grown accustomed to. While the rest of the world welcomed the New Year, Golding, Yrsha, and Assistant Professor of Biology Dr. Christine Palmer joined a group of researchers from Dartmouth College and Cornell University at Barro Colorado Island, home of a Smithsonian research facility, where they spent ten days collecting and studying katydids, an insect similar to crickets and grasshoppers. 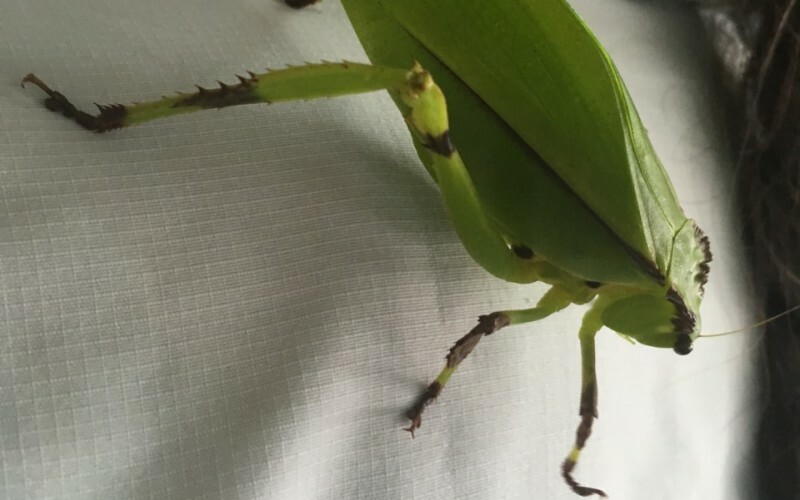 This is the third year that Palmer has traveled to Panama to participate in katydid research, which is part of a research grant funded through the Vermont Genetics Network. The goal of the research is to study DNA from the digestive tract and determine where they are living, through what they eat. “This is my second full year of hands-on research, which included a paid summer internship. 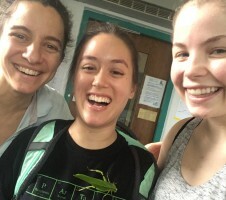 We spent the majority of our time in the lab, taking DNA from samples that came from Panama and amplifying the plant DNA to see what the katydids are eating before sending it out to be sequenced. 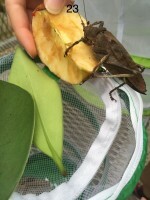 We also conducted feeding trials for local katydids to determine their eating preferences,” Yrsha said. According to Palmer, this experience in the research lab allowed Golding and Yrsha to conduct more independent research while in Panama. “Because of the feeding trials in Vermont, they were able to set up their own projects and experiments. They knew how to do the molecular piece, so they were at times doing 100 percent independent research,” she said. 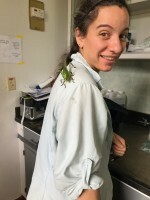 Golding and Yrsha were responsible for conducting feeding trials while in Panama, which also meant they had to collect katydids, which range from one to six inches (or larger) in size. For Yrsha, conducting field research provided her with real world experience in adapting her schedule to meet the needs of the research as well as how to contribute to the project as a whole, not just the part she was responsible for. “I know this is an opportunity that not everyone has access to, especially at a small school like ours. It really allows you to form relationships where you can participate in something of this scale and not be just another number,” she said.